Dance In The Time Vortex With Doctor Who! Are you ready for Doctor Who to be splashy and fun again with the Eleventh Doctor? 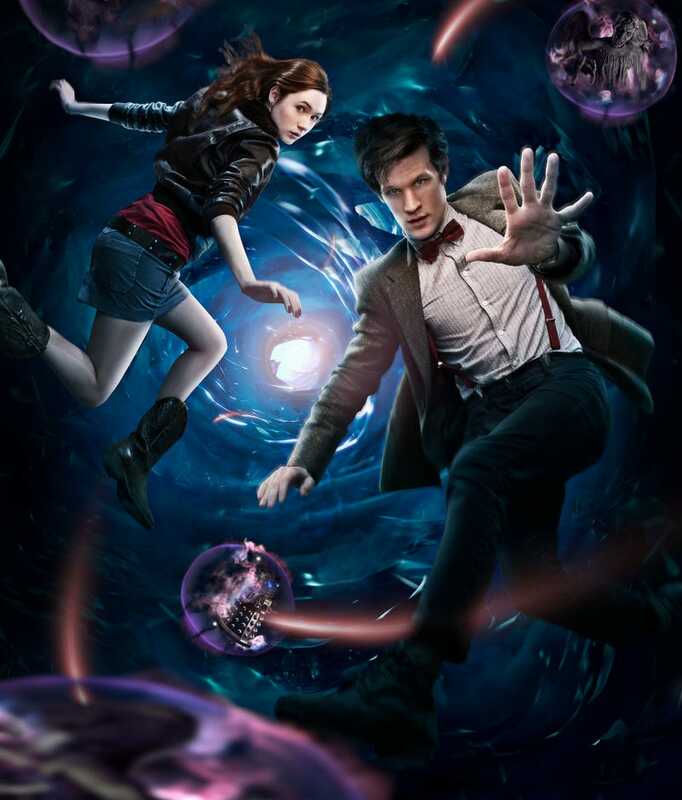 BBC America just sent us this awesome image of the Doctor and Amy dodging Daleks and Weeping Angels in the Time Vortex. Geronimo! As always, you can right-click the image and select "save link as" to get a high-res version for your desktop.